So starts the song It Was a Lover and His Lass that opened our production for 2008. 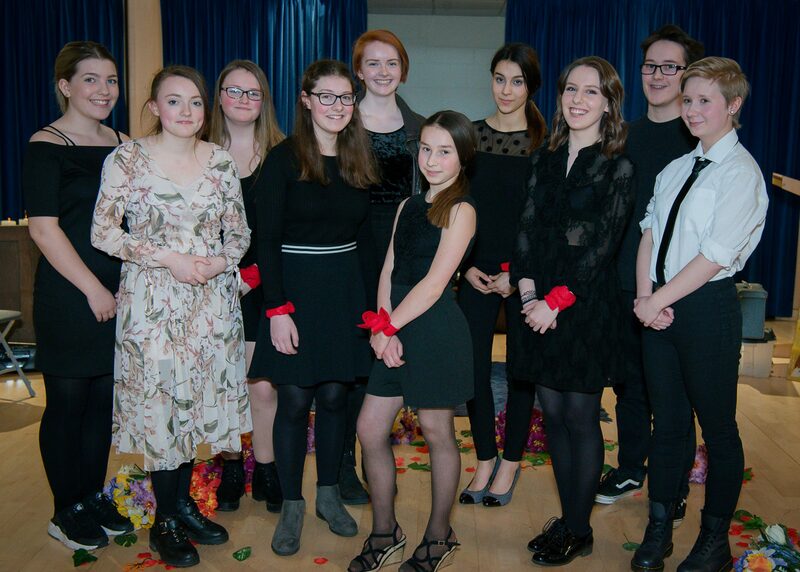 A devised show with pieces ranging from Shakespeare to silent comedy, Ringtime looked at love, new beginnings and spring through drama, song and movement. We were the first group to perform and our piece It’s Complicated revolved around the idea of: what is love? The audience saw different authors and characters from literature giving their opinions on love. Then it was time for us to relax whilst the next group took to the stage, which was a silent comedy sketch. This piece told the story of two flatmates and the unlikely situations they found themselves in. It had everyone in the audience and backstage in hysterics. In between the four pieces that comprised the bulk of the show were short proposal scenes from a range of Shakespeare’s plays; The Taming of the Shrew, Richard III, Midsummer Night’s Dream, and Twelfth Night. These scenes portrayed many different kinds of love. After the interval it was the turn of The Planets, a piece focusing on movement with words spoken from the Corinthians and the poetry of John Clare. It followed the story of a boy and a girl falling in love, observed by the planets, set to the music by Holst of the same name. The last piece was entitled Nanna Noah devised by the group with the help of its director. It told the biblical tale of Noah’s Ark for modern times complete with hoodies, gadgets and plenty of hymns. The finale was a movement sequence set to ‘The Rhythm of Life’ involving the whole company. I enjoyed Ringtime from the first rehearsal to our last performance. I would like to thank everyone who helped to make Ringtime a success and I look forward to next year’s Masque Youth Theatre production. Next postRingtime gets rave reviews!